Personal banking becomes such a mundane task that many of us forget that we have a choice in the matter. Citi Bank challenges that idea with their Citi Diamond Preferred Card. Citi's new 30-second commercial features a little girl dancing through a summer rainstorm. Between her wet bouncing curls, jelly shoes splashing in puddles, and a smiling face turned skyward, this scene gives viewers a glimpse of that child-like joy we all long for. During this short advertisement, Gene Kelly's singing provides a tranquilizing aesthetic. Can Citi Bank's Diamond Preferred Card provide consumers with the same peaceful feeling? One of the biggest advantages of this card is the starting annual percentage rate. This card allows customers to make a balance transfer at 0% APR for 21 months. If that is not enough, customers who have no balance to transfer can still take advantage of 0% APR for 12 months on purchases. After the introductory rate, rates range from 14.24%- 24.24%. According to ValuePenguin, the average credit card rate is 20.90%. Therefore, with Citi, there is a possibility of getting a rate that is well below average. Some major perks associated with this card are the security features it provides. This credit card provides $0 liability on unauthorized purchases, an identity theft program, and Citi Quick Look, which allows customers to lock their card if they suspect any foul play. In the days of online shopping, these safety features are influential factors and a major difference maker when card shopping. Although the pros for this card are major, there are also some drawbacks. There are times in life where dealing in cash is crucial. After reading the fine print on this credit card, customers will find that while cash advances are possible with this card, but the price for doing so is high. The APR for cash advances on this card is 26.49%. That is higher than the national average, which, according to creditcards.com, is 23.68%. Depending on the situation, the consumers might be displeased with the timeline associated with this card. Balance transfers for the Diamond Preferred Card must take place within 4 months after opening. This timeline accompanies a 3% fee or $5 fee for each transfer (whichever is greater). Some customers might see this as a con, depending on how and when they need to use the card. 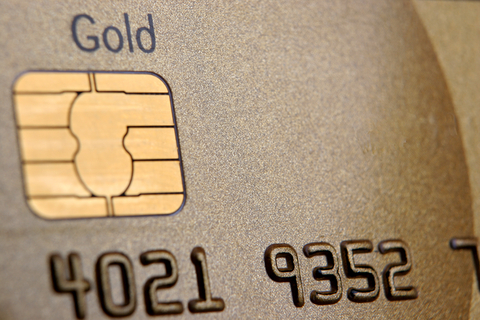 For cardholders who do a fair amount of traveling, this card poses a drawback. There is a 3% fee (U.S. dollars) for foreign purchases. For some, this would never be a deciding factor, but for those who use a credit card for secure purchases when traveling, this could be a deciding factor. There are cards available that accrue no foreign fees, so card shopping is a definite must for well-traveled customers. Depending on the needs of the customer, the Citi Diamond Preferred Card offers a great outlet for those currently paying high interest rates. Having the time to pay off a balance without accruing interest can save thousands. Although the fine print should be noted, the agreeable APR and safety features of this card make it a force to be reckoned with. Overall, the Diamond Preferred Card might be a consumers' next reason to sing in the rain.